Manufacturers in the chemical industry, or who deal with hazardous chemicals, need to maintain Material Safety Data Sheets (MSDS) (now Safety Data Sheets or SDS) in order to remain compliant both with worldwide regulations and to avoid fines and other regulatory sanctions. Producers of these hazardous chemicals are required, for each market where they are producing or distributing, to provide SDS translations in the official language of that country. Translations Services USA can provide a total translation solution for SDS and chemical products labeling. Our translations are completed in full compliance with international commerce laws, regulations, and standards. Our SDS translation team have a proven track record in the competent translation of chemical product texts and safety information. Translations Services USA can help your company translate SDS documents into over 150 languages, with experience working with regulations in the European Union and many large Asian markets. We have helped companies with SDS translation in everything from Spanish, German, Italian, French, Chinese, Japanese, Thai, Indonesian, Malay and Korean to dozens of other languages. Our clients have included Sunoco, Siemens, and Gerber, among many others. We will work with you to ensure your SDS meets all compliance requirements no matter what your target country. Whether your company's focus is on import or export, Translations Services USA's SDS translation services can help you avoid workplace injuries, prevent lawsuits and regulatory fines, and improve communication. Though there has been movement towards the globalization and standardization of SDS requirements recently, SDS regulations can still vary from country to country. In the United States, regulation of SDS is handled by the federal government's Occupational Safety and Health Administration (OSHA). Therefore, if you are an American company, all SDS must comply with the OSHA Hazard Communication Standard, 29 CFR1910.1200. Additionally, the American National Standards Institute (ANSI) has set the standards for SDS (ANSI Z400.1) and labeling (ANSI Z129.1). In addition to this, there may also be state or local regulations that apply as well. When doing business abroad, we can then convert your SDS to GHS format, an international standard used in the United States as well as throughout Europe and Canada. The European Union also has its own, separate standard, which we can also translate SDS to comply with, as well as the Canadian WHMIS format, and most other national standards set by foreign governments. You will want a translation partner who can help you make sure your SDS comply with any and all regulations the world over. Translations Services USA can provide consulting for SDS translation services to ensure your SDS contains correct information for your target market's locale. When we translate SDS for chemical products to another languages, we always make sure we meet the standard of that country. Because each country, region, and jurisdiction may have its own separate SDS standards and requirements, Translations Services USA can provide SDS translations tailored specifically to conform to your target market's required standards and formats. In Canada, all product labels and SDS must be provided both in English and Canadian French. 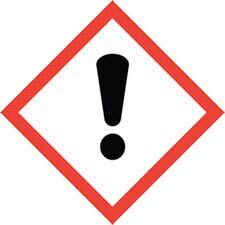 Additionally, all chemical safety labels need both the English and French on the same label. Canada's applicable standard is the Workplace Hazardous Materials Information System (WHMIS). Directive 2001/58/EC provides detailed guidance for the preparation of material safety data sheets in Europe. To request a quote or learn more about Translations Services USA's SDS translation services, please contact us using our get quote request form.